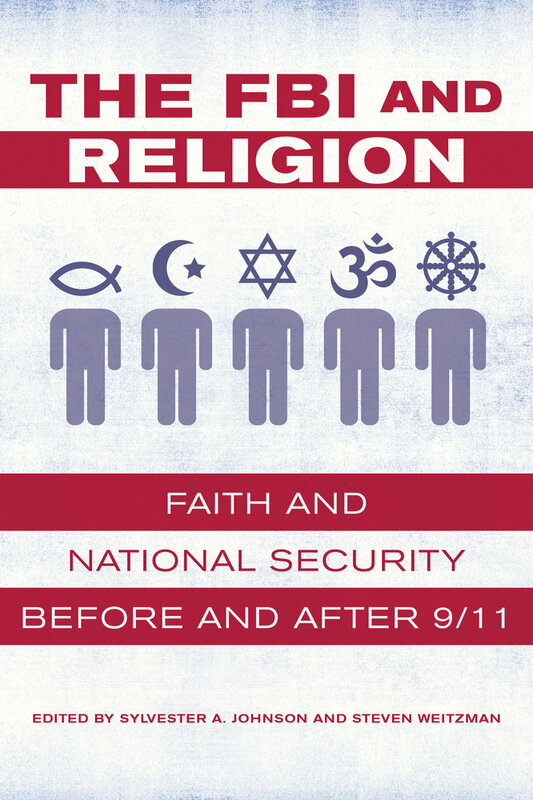 The FBI and Religion (University of California Press, 29.95), edited by Sylvester Johnson and Steven Weitzman, presents both historical and contemporary case studies that show an ambivalence and, in some cases, hostility and suspicion toward religious actors. The book covers the fraught relationship between the federal agency and religious groups running from the FBI’s beginnings engaging with (but often antagonizing) black churches to fight white supremacist radicalism to its suspicions and investigations of mainline churches during the Cold War to the more recent controversies involving new religious movements and Islam. The editors argue that the bureau has been infused with its own religiosity through its past directors, notably J. Edgar Hoover, its agents (recruiting many Mormons to fill its ranks), and its patriotic and civic faith values. Several of the contributors see the FBI not only as violating the separation of church and state but also engaging in blatant racial and religious discrimination against such groups as the Nation of Islam, the Moorish Science Temple, and even the Church of God in Christ. The chapters on minority and new religious movements document the missteps the bureau and its agents have taken toward unconventional faiths. Catherine Wessinger re-examines the case of the Branch Davidians and finds that the FBI knew more about the impending raid in Waco than has been subsequently reported while tuning out scholarly advice about David Koresh and his apocalyptic beliefs. The bureau’s counterterrorism tactics since 9/11 are likewise criticized for ignoring scholars of Islam and listening to self-proclaimed experts who often stress the violent nature of Islam. All this material brings the reader to the concluding chapter that deals with the recurring issue of bridging the gap between the FBI and scholarship on crime enforcement. 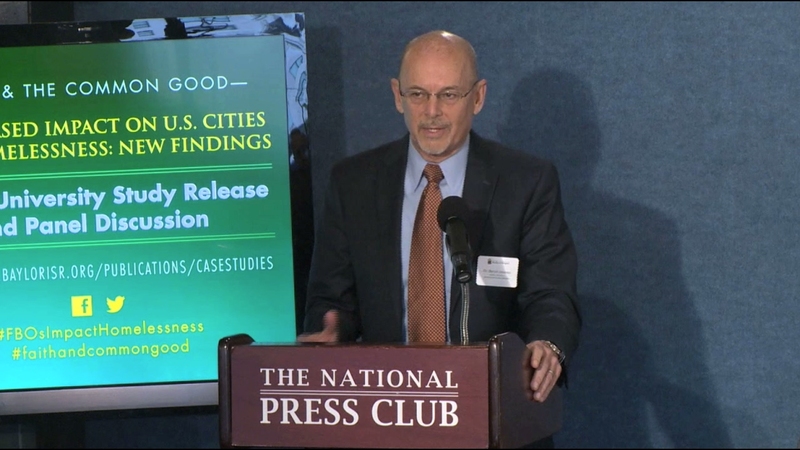 Scholars have positioned themselves as “worldview translators” as they explain the motivations and beliefs of targeted religious groups to agents, but such a role can too often turn into advocacy, Weitzman writes. Although the bureau still rarely engages the academic study of religion, he adds that there are signs that the bureau has changed, partnering with educational institutions and encouraging counterterrorism agents to study Islam. 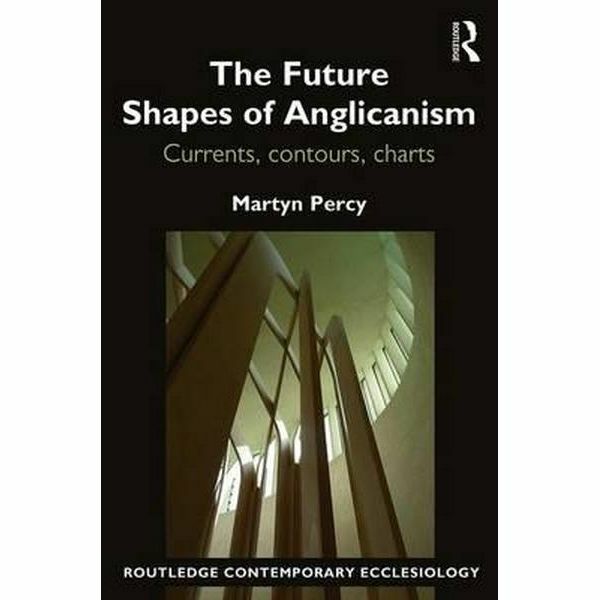 The Future Shapes of Anglicanism (Routledge, $27.97), by Martyn Percy, comes from a definite liberal (or “broad”) Anglican perspective, but the author’s in-depth knowledge of both the Church of England and global Anglicanism and blending of sociology and theology make the book an interesting exploration of this conflicted Christian tradition. Percy engages in a complex kind of mapping of global Anglicanism—statistics tell only part of the story. For instance, Japan has more Anglican colleges and universities than the Church of England, even though it has a small number of Anglicans (35,000). The fragmentation taking place not only between the global South and north but also within national churches also confounds Anglican map-making as more conservative parishes align with like-minded churches in other countries or with the growing alternative or house church movement that overlaps with and overrides traditional parish boundaries. As in previous work, Percy turns to the prevalence of managerialism in Anglicanism, especially the Church of England, as its greatest challenge. 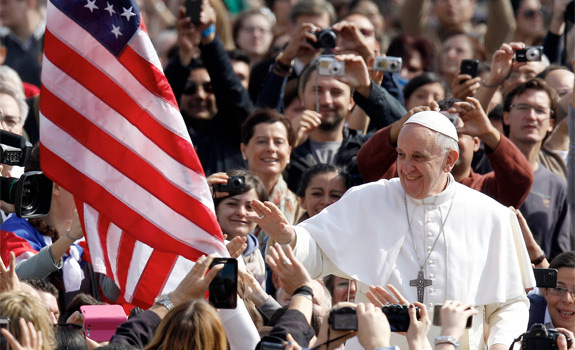 He argues that the managerial approach, as spelled out in the church bishops’ Green Report in 2015, has invaded the ranks of clergy, parish, and seminary life, sidelining theology, conversation, and spirituality. Led by Archbishop of Canterbury Justin Welby, this transactional style is globalized and applied to relations between Anglican churches. 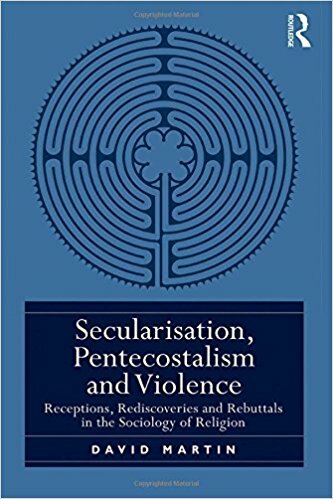 Percy concludes that the charismatic yet standardized model of leadership favoring the evangelical branch is dominating over the liberal and mystical components of the church, even though the latter resonates with secular British, such as the growing spiritual movement based in cathedrals. In recent years some research projects have paid attention to alternative religious movements in Muslim countries, for instance the program on “New Religiosities in Turkey” under the aegis of the German Orient Institute in Istanbul, as reported in RW (November 2013). Muslim majority countries are not only a place where imported religious movements seek converts, however; some prove to be a fertile soil for indigenous new religions departing significantly from Islam. Such is the case in Indonesia, a country where RW had already mentioned the existence of a New Age market, as observed by Australian scholar Julia Day Howell (May 2003 issue). A recent book by Indonesian researcher Al Makin (Sunan Kalijaga State Islamic University, Yogyakarta) shares fresh insights on movements mostly ignored in the West and is based on a case study of a small movement led by a prophetess using the name of Lia Eden. 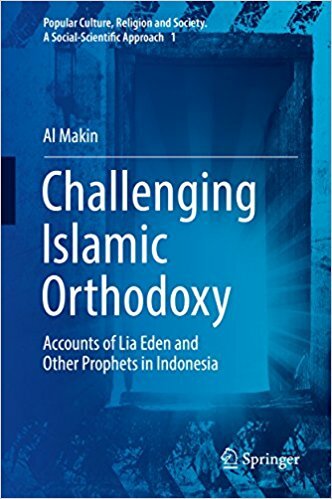 Challenging Islamic Orthodoxy: Accounts of Lia Eden and Other Prophets in Indonesia (Springer, $99.99) explains that hundreds of people have claimed to receive divine messages in Indonesia since the colonial period, and some have founded new religious movements (NRMs). Most Indonesian NRMs have been born in Java Island, a fertile area for syncretism. Originally a well-known flower arranger, Lia Eden started by defending Islam and criticizing associations with other religions, while developing a gift for healing—not unlike other founders of Indonesian NRMs. She soon became disappointed by Muslim ulemas with whom she was cooperating and experienced frictions with the Indonesian Ulema Council (MUI) due to her claims that she was receiving revelations from Archangel Gabriel, as Muhammad had done. After interviewing her in 1997, the MUI stated that nobody could receive messages from Gabriel after the Prophet of Islam, and the fact that Lia was a woman did not help. From that point Lia started distancing herself increasingly from Islam, encouraging the integration of practices from other religions and the abandonment of Muslim rituals. In year 2000, an edict from Gabriel proclaimed the group to be a new religion distinct from Islam. By the mid-2000s, Lia claimed to have united with Gabriel and to speak directly in the name of God while issuing other grandiose statements about her own person and mission. Lia also started to exercise absolute authority over followers, expecting complete commitment, and moreover purged a number of them, thus reducing the movement to a very small group. She also kept warning Indonesia about imminent chastisements and spoke about the imminent end of the world. The group experienced sometimes-violent opposition as well as state prosecution, with Lia being arrested twice and spending several years in prison. Beside the specific case of a tiny movement, Makin’s book offers insights on conflicts around NRMs in the Muslim Indonesian context, where reactions—in contrast to those against NRMs in the West—do not focus on the psychological well-being of followers but on heterodox teachings. In 2007, the MUI set up nine criteria in order to determine if a group is heretical or not. Makin also describes a Muslim counter-cult group—not unlike its Christian counterparts in the West—that gathers documentation on local “cults” and cooperates with police. Yet despite her clearly heterodox teachings, Muslim activists fighting for the promotion of pluralism have defended Lia’s religious freedom, stating that somebody who has left Islam can no longer be judged on the basis of Islam. Political and social response to such NRMs—an appendix briefly describes various other prophets—can be considered as an indicator of pluralism and tolerance in a society, Makin writes. The contemporary Indonesian prophets are all prosecuted on the basis of the 1965 blasphemy law, thus accusing them of committing blasphemy against Islam in what is supposed to be a pluralist society. As long as the blasphemy law is not reviewed, the government won’t respect the fundamental rights of the Indonesian prophets, Makin concludes.